Societies are always welcome at Walton Hall Golf Course and we can promise you a great game of golf. 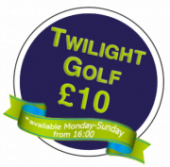 We can cater for groups of any size and packages are available for 18, and 27 holes. You are welcome to use the practice facilities and our Pro Shop carries a wide range of equipment and clothing should you need any prizes. Standard packages are listed below but please see Golf Specials for any seasonal deals or contact us directly on 01925 263061 or waltonhallgolfcourse.co.uk with any special requests. Our beautiful food is prepared by the fantastic catering staff that look after and service Walton Hall itself for Weddings and corporate events.